When it comes to introducing children to the arts, you dona��t need to dumb it down. This is what Tulika Books conveys through their Looking at Art series. 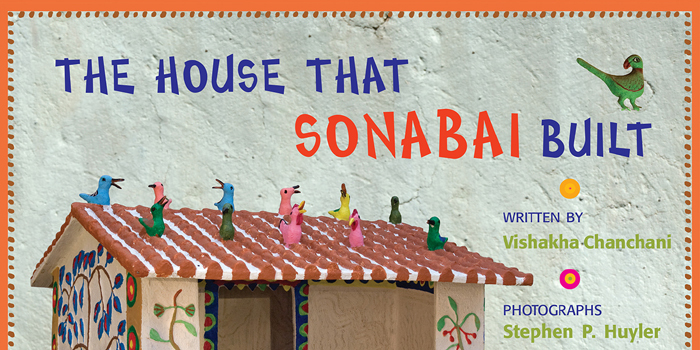 The latest book to be published under the label is The House that Sonabai Built, a look at the life and work of the Chhatisgarh artist and sculptor. Written by Bengaluru-based art educator Vishakha Chanchani, with photographs by cultural anthropologist Stephen P Huyler, the 32-pager promises to be an inspirational read. a�?When Tulika approached me, my ears pricked up because I had seen Sonabaia��s work at Delhia��s Craft Museum and had been struck by its unusualness and vibrancy,a�? begins Chanchani. While she didna��t get a chance to meet the artist in person, she explains that her work with clay and artisans (she has a crafts studio) gave her a unique understanding. She also admits that Huylera��s book, Sonabai: Another Way of Seeing, and its accompanying documentary film, were very helpful. a�?Sonabaia��s story is unique. She was isolated from her peers for 15 years (by her husband) in a manner that would oppress most. But she found a way to bring light, joy and beauty into her space that might otherwise have been her prison,a�? says Huyler, who shot much of the photographs between 2000 and 2006. He will launch the book and present a slideshow featuring Sonabaia��s art, tomorrow, at Spaces, at 5.30 pm.